Thanks to a generous donation made to Kenmore Mercy Foundation by the late John M. Repetski in 2016, colorful flowers and plants will now greet arriving patients, visitors, and associates at Kenmore Mercy Hospital. On Friday, May 12, hospital officials and the family of Mr. Repetski gathered to formally dedicate and bless a Healing Garden. In January 2016, a $2.3 million bequest was left by Mr. Repetski’s estate to benefit the hospital. 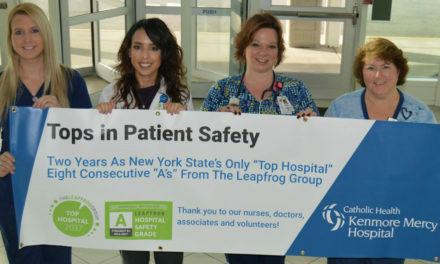 It is the largest gift from an individual donor in the hospital’s 66-year history. The Foundation Board and hospital officials discussed the various options to honor this generous donation and decided on the garden. Open to all hospital patients, visitors and community members, the 2,225 square foot Healing Garden is located on the north end of the hospital next to the new Ambulatory Surgery Unit. The garden features a variety of herbs, plants, and flowers, each chosen with their therapeutic and calming effects in mind. Studies show that after a stressful event, images of nature help decrease blood pressure, respiration rate, brain activity, and improve moods. “Our hope is that patients, caregivers and visitors will find healing and renewal amidst nature’s beauty, and that this space will be a peaceful haven, where strength and hope blossom,” said Susan Jandzinski, executive director of the Kenmore Mercy Foundation. 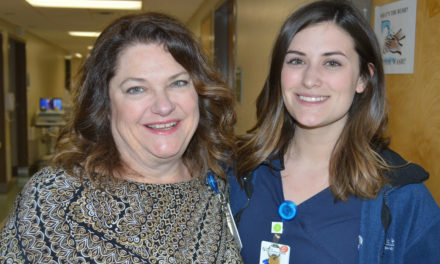 Jandzinski added that by thinking of better methods for meeting the patient’s needs, the Foundation is also bettering their lives and the lives of their families. 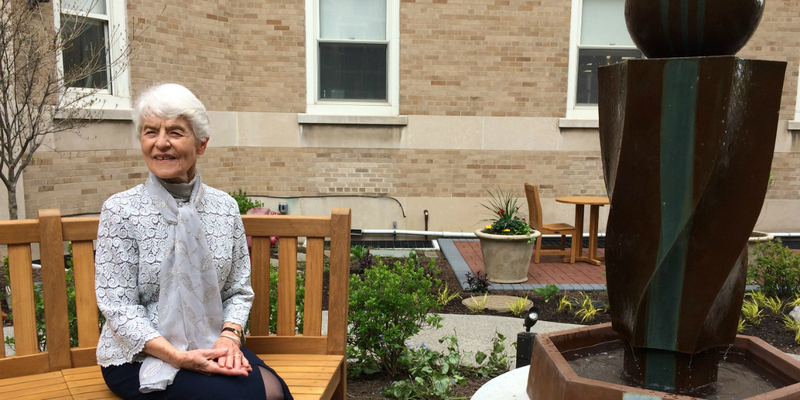 “As patients go by or stop to take a look, hopefully the gardens will provide a sense of calm,” she said. 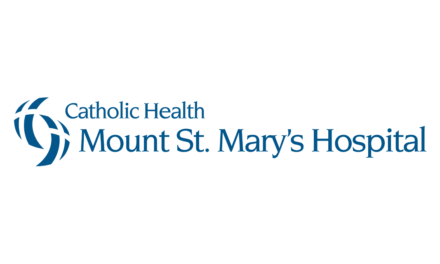 Kenmore Mercy Foundation is part of the Foundations of Catholic Health, which also includes Mercy Hospital Foundation, Mount St. Mary’s Hospital Foundation, Sisters of Charity Hospital Foundation and the St. Joseph Fund. 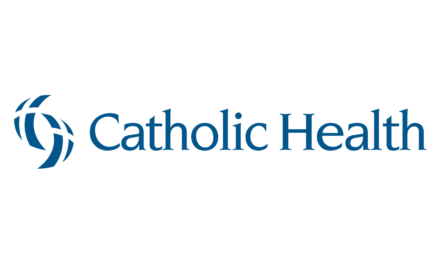 Through charitable gifts, bequests and corporate donations the foundations support the advancement of programs and services throughout Catholic Health.